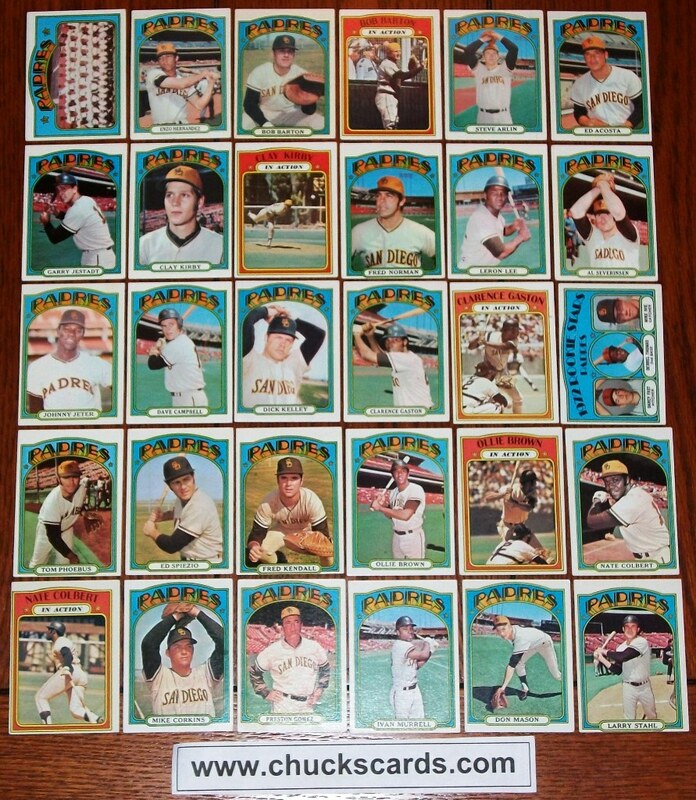 I am currently building 1972 Topps team sets by hand, instead of breaking down a complete set by hand. As team sets are finished, they will be listed on this page (at the bottom) with prices and pictures of each team set available. 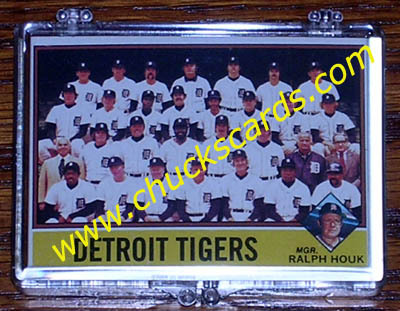 These are very beautiful team sets and I'm sure you as a collector will be very happy to have these in your collection! 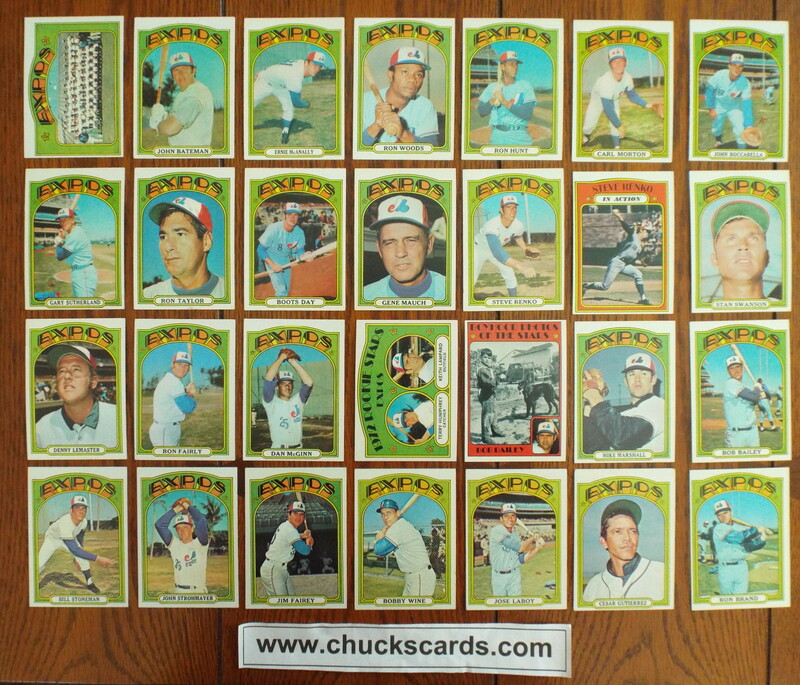 The 1972 Topps Team sets will average EX/NM condition. Some cards will be NM and a couple could be in EX condition depending on how strict you are as a card grader. 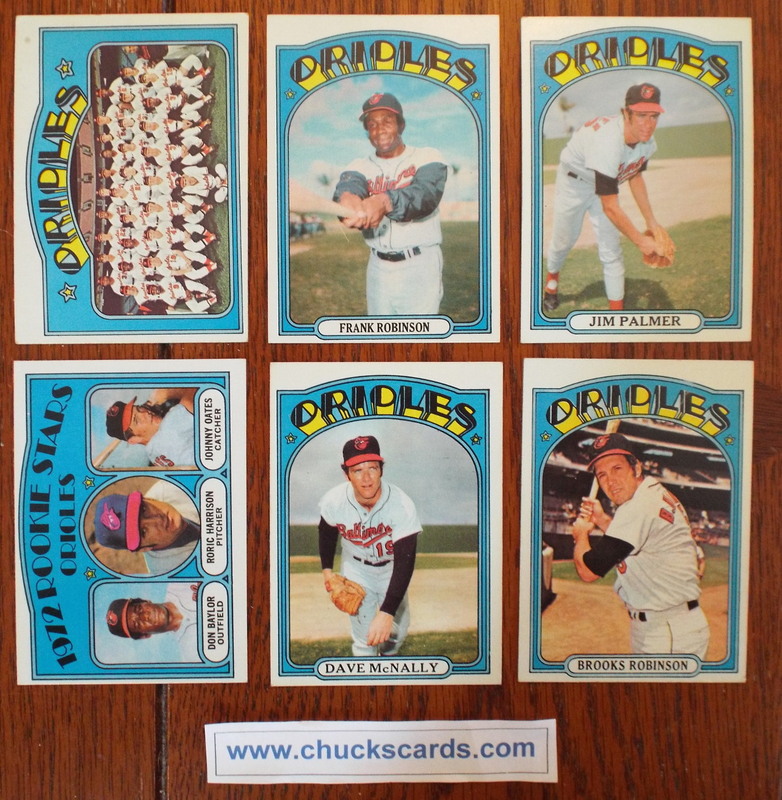 Typical flaws that may be found on some cards are centering, some corners might have slight dings and maybe some boarder roughness. 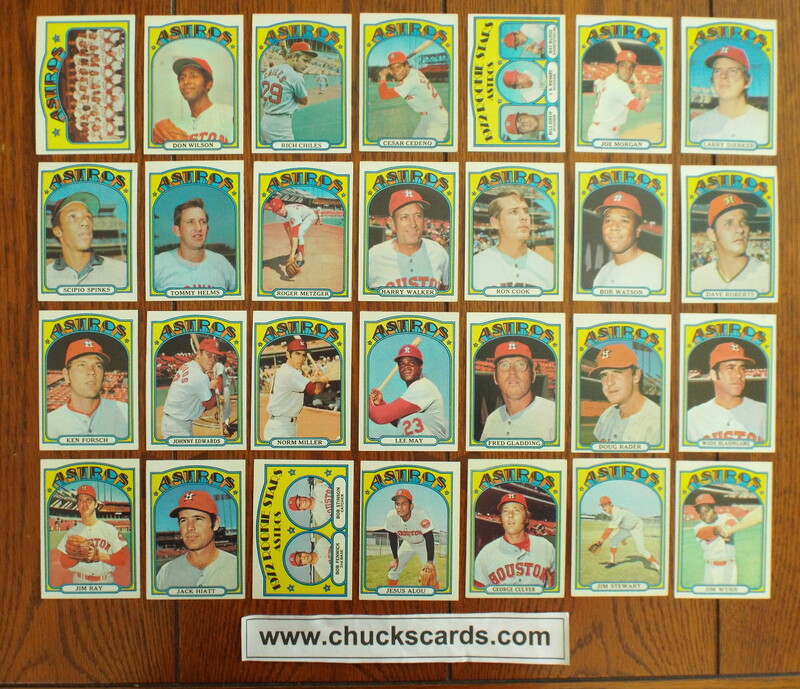 The cards have clean fronts and backs, no wax stains are present. 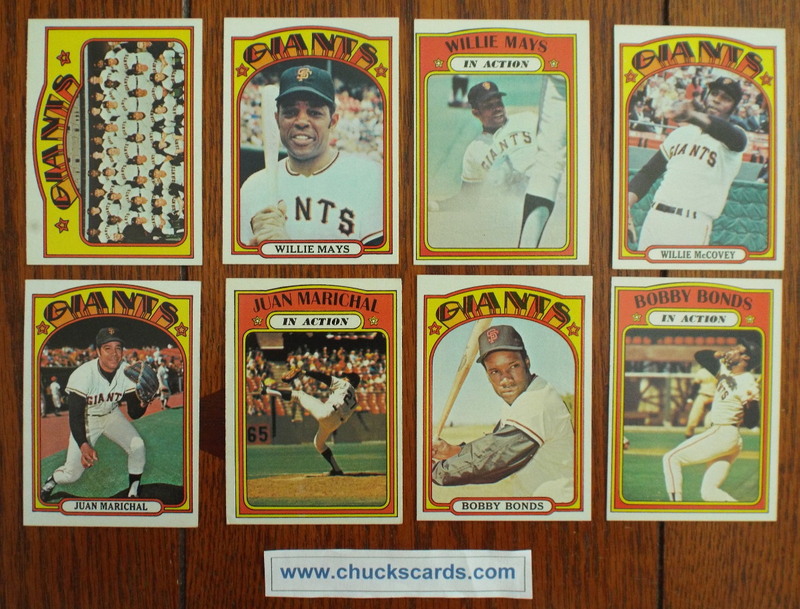 The team sets included cards from all series, so they do include the High number cards (657- 787). 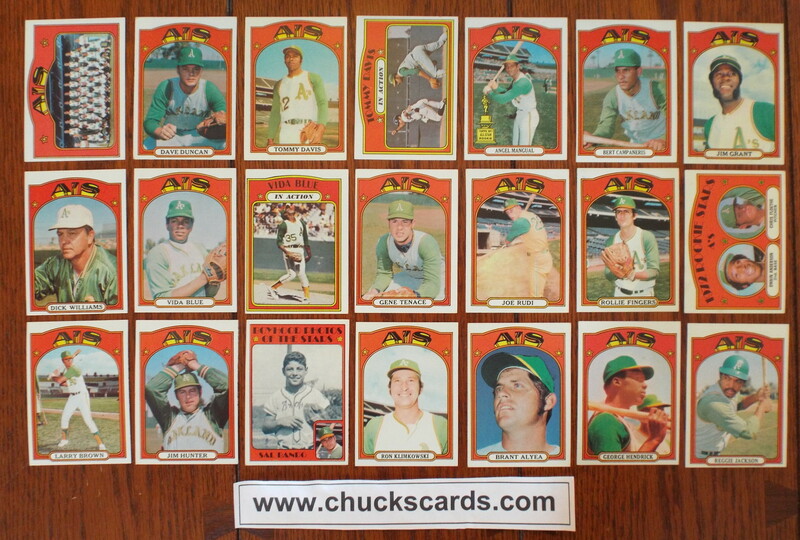 All "Boyhood Photos", Playoff Cards and "In-Action" subset cards are included with the team sets as well where they feature cards from that particular team. For Playoff cards, the winning team of the game featured on the card will go into the winning team's team set. 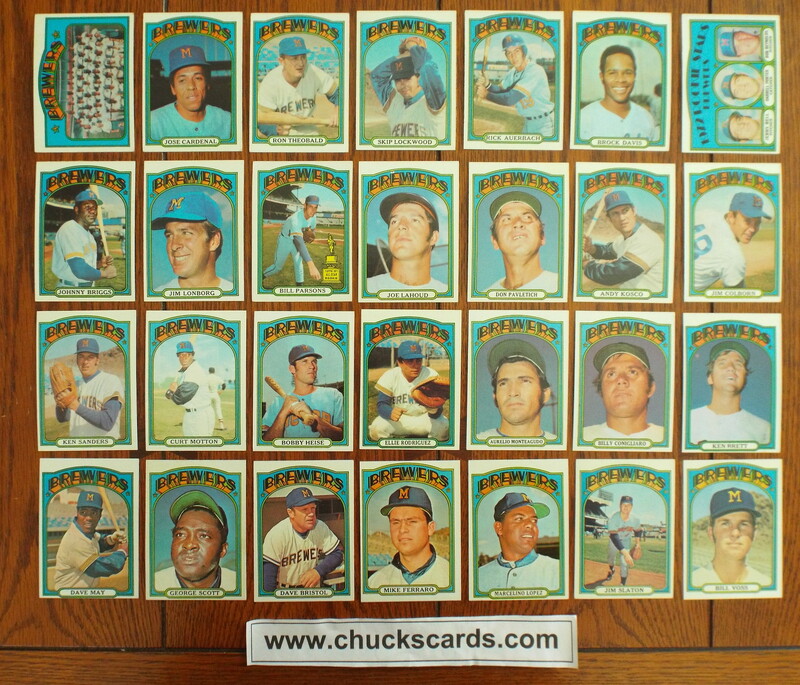 There are several types of subset cards from the 1972 Topps Set that are not included in the team sets. 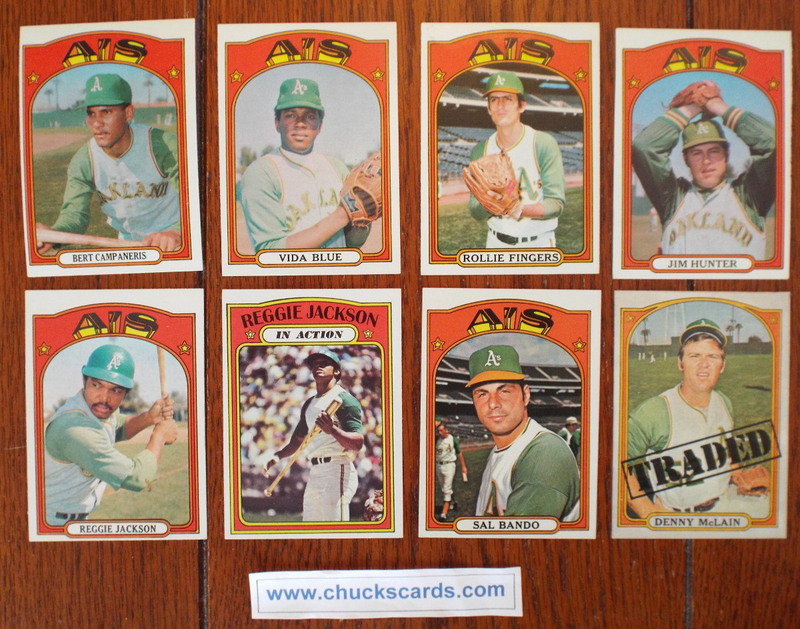 These cards are listed below. 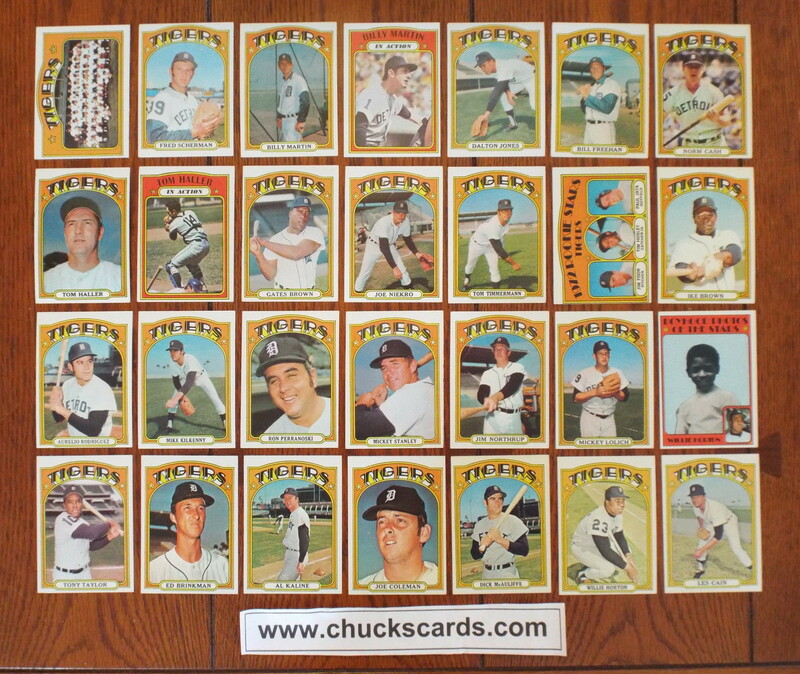 Each team has their own card devoted to their Rookie Stars. The 3 cards listed as Rookie Stars (724, 741 & 761) list players from different teams, hence they are not included in any team set. 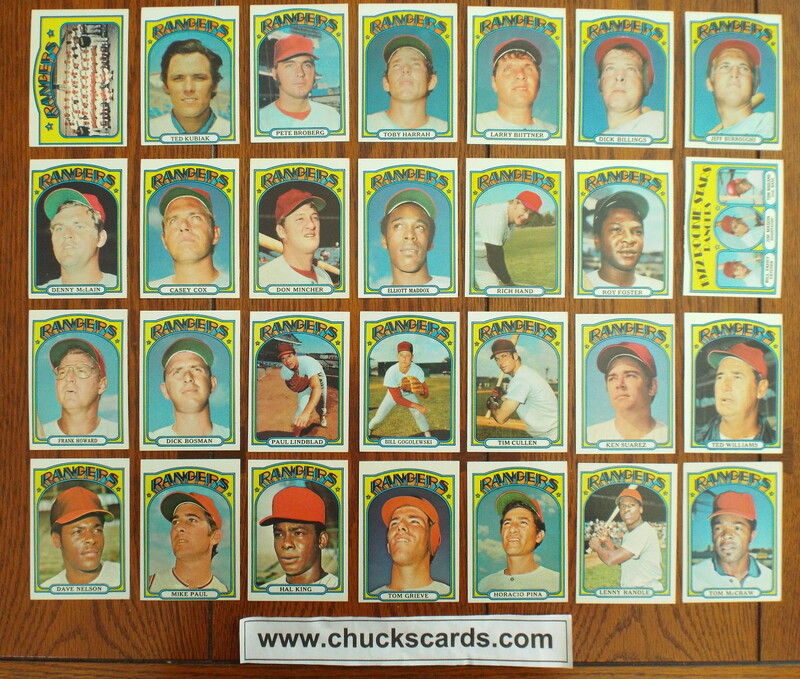 The Award cards (Commissioners, MVP, Cy Young, Rookie of the Year, Babe Ruth and Minor League Player of the Year) just feature the pictures of the trophy on the front of the card and a list of previous years winners on the back. 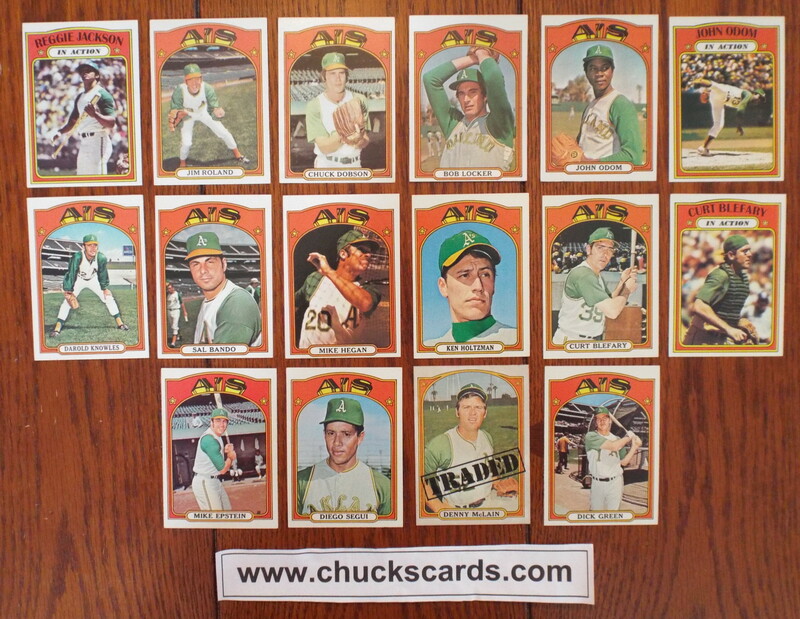 None of these are included in any team set. 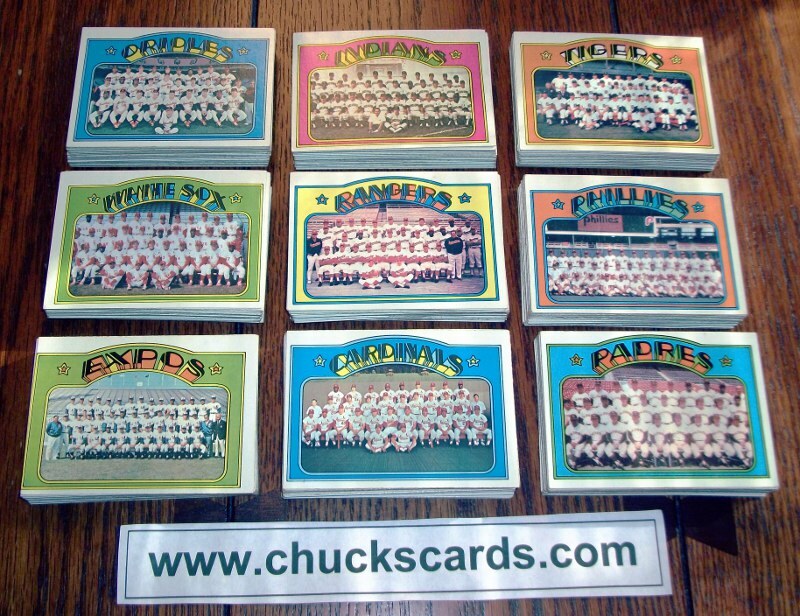 All 1972 Topps team sets are sent in a 35 count plastic case as seen below. 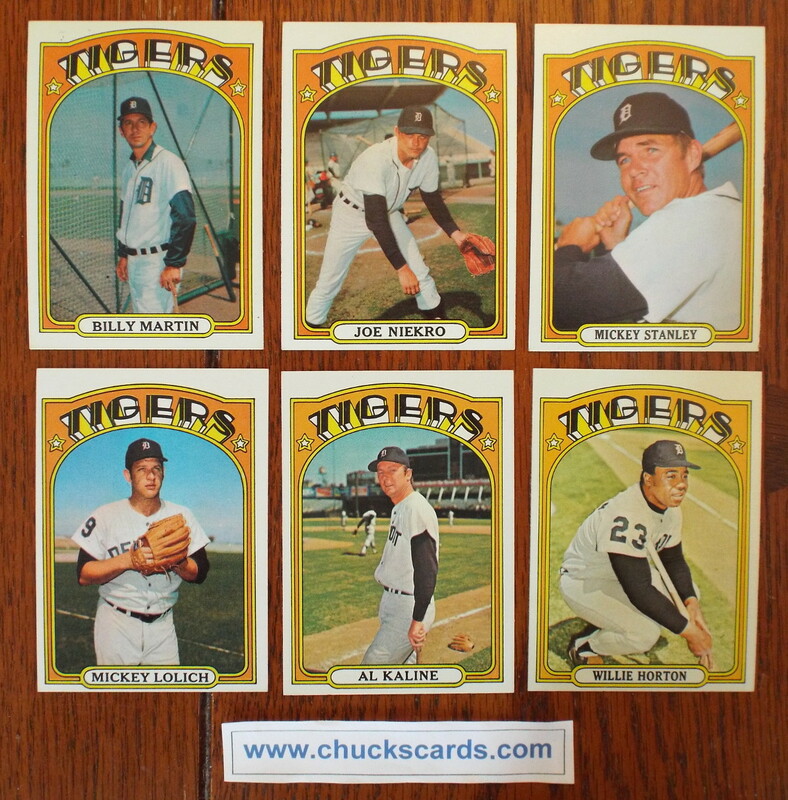 The following team sets are currently available for 1972 Topps Baseball and their price.